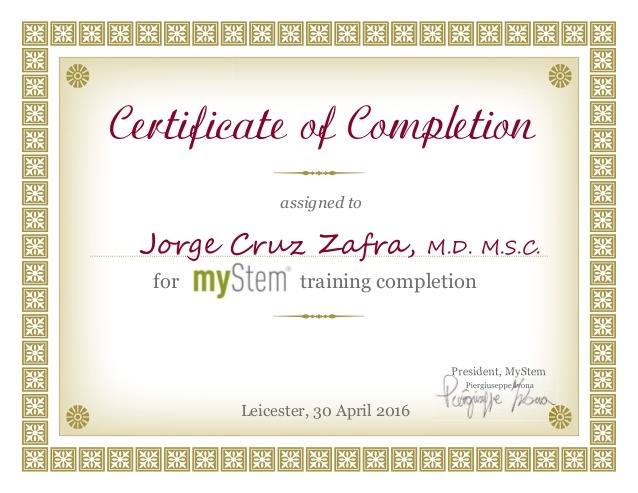 Dr Jorge Zafra M.D., M.Sc. Dr Zafra studied in one of the most prestigious private universities in Mexico for his medical degree at the Universidad Anahuac. He trained as a General Practitioner (GP) in the renowned Hospital Universitari Vall d’Hebron, parallel to the GP training he studied at Universitat de Barcelona a Master’s Degree in Aesthetic Medicine and Anti-ageing. 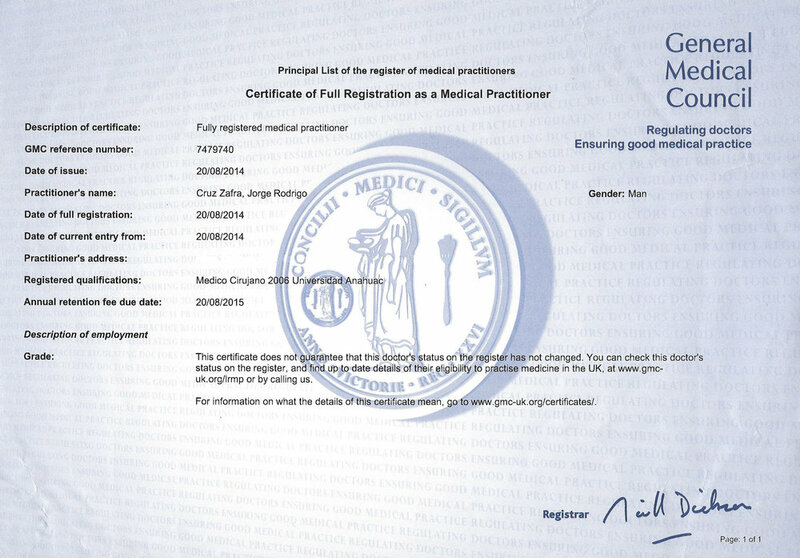 He is in the GP register with the GMC with full registration and license to practice. 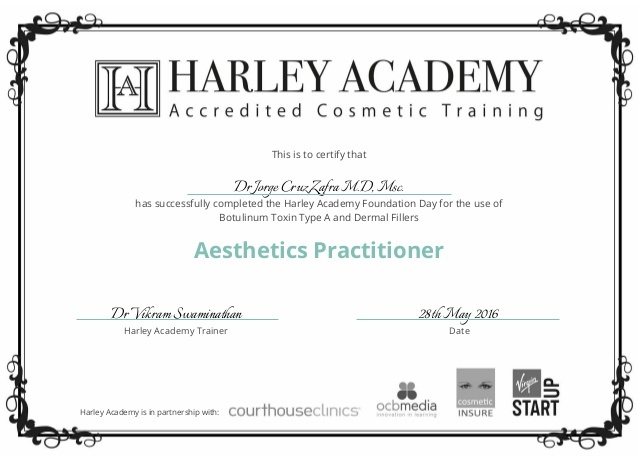 He is a trained Aesthetics Practitioner by Harley Academyin London and is an associate member of the British Association of Body Sculpting. He is a keen artist and in his practice he combines the vision of art and aesthetics with the most advanced medical treatments to enhance the natural beauty of each individual. 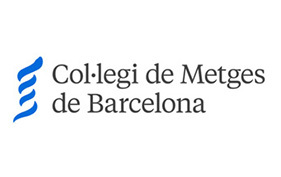 The most formidable public institution of higher education in Catalonia. Renowned and innovative public hospital, second largest in Spain. One of the most prestigious private universities of Mexico. Early years: Played the saxophone alto and started drawing and painting. 2005: Dr Zafra was part of a team of doctors that delivered telemedicine to remote rural villages in the state of Oaxaca, Mexico. 2006: He is the youngest lecturer of embryology of the Universidad Anahuac Oaxaca. 2010 – 2014: During GP training at Hospital Vall d’Hebron he was the 1st elected Chief Resident of the specialty of Family and Community Medicine. 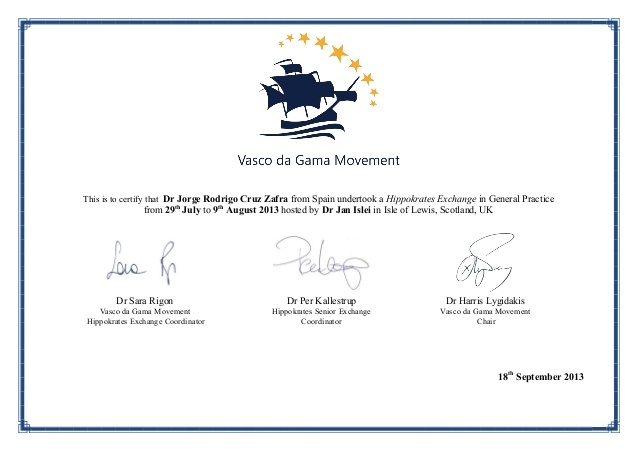 2013 – 2014: He has participated in exchanges of Vasco Da Gama Movement / World Organization of Family Doctors (WONCA) in the Isle of Lewis, Scotland and Banyuls-sur-Mer, France. 2014 – 2016: He was a medical specialist for Maximus UK. 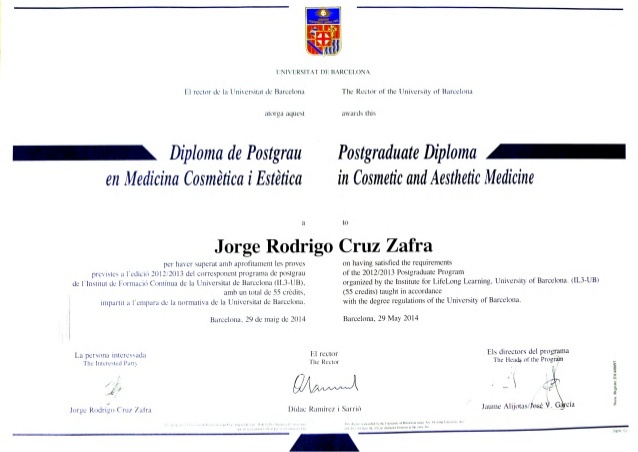 Dr Zafra, J. “The Impact of Sun on Skin”. Aesthetics Journal, June 2018. 42 – 44. Dr Zafra, J. Dr Singh, K. “Incorporating Nutrition with Body Contouring Treatments”. Aesthetics Journal, July 2017, 34 – 37. Dr Zafra, J. Dr Ranga, N. “Case Study: Treating Vaginal Laxity and Sexual Dysfunction”. Aesthetics Journal, January 2017, 38 – 41. Organizing Committee Member, Keynote Speaker and Session Chair. Dr Zafra. 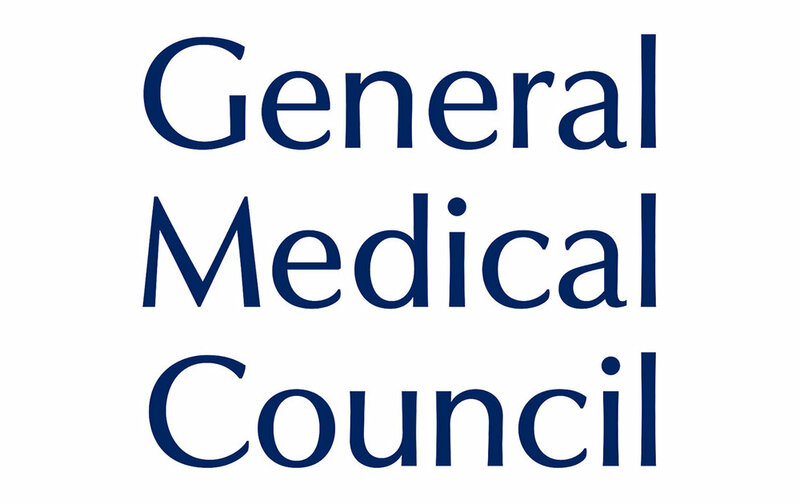 "Aesthetic Medicine in the UK, a conflict between medics and non-medics". 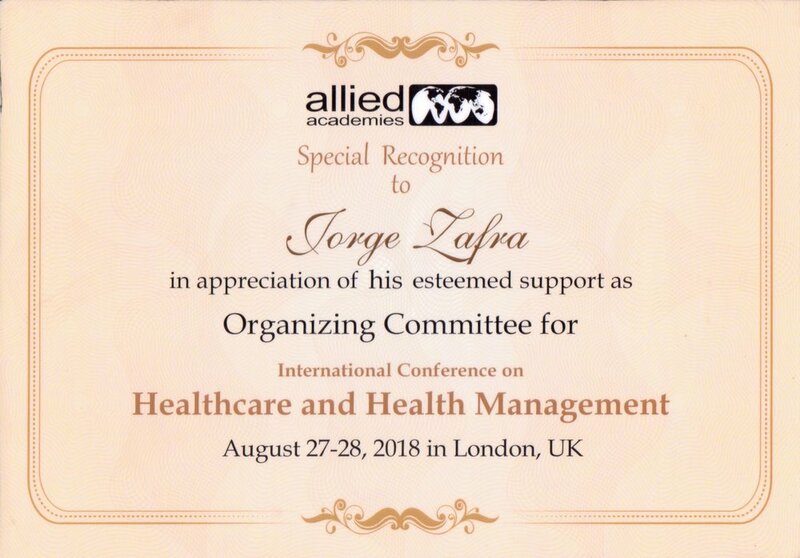 International Conference on Healthcare and Health Management, London, August 27-28th 2018. Since 2015: Dr Zafra is the Medical Director of Digital Hermes a medical marketing company for which he provides guidance, leadership, oversight and quality assurance to provide ethical, effective and efficient medical marketing. GP register, Full registration with a license to practise.